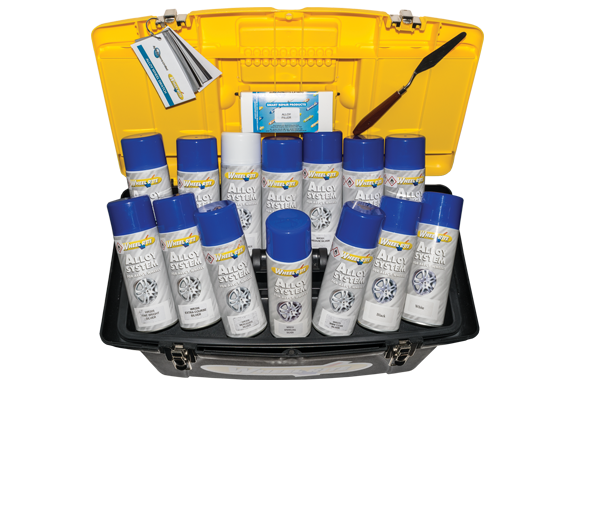 Designed for the occasional alloy wheel repairer, Ayce Systems has introduced a low cost aerosol starter kit for the refurbishment of minor damage to alloy wheels. The kit consists of 8 wheel silvers (including 7 of the most popular wheel silvers) a gloss lacquer, alloy prep, alloy primer, alloy cleaner and a 30 second cure alloy filler. All aerosols are 400ml.